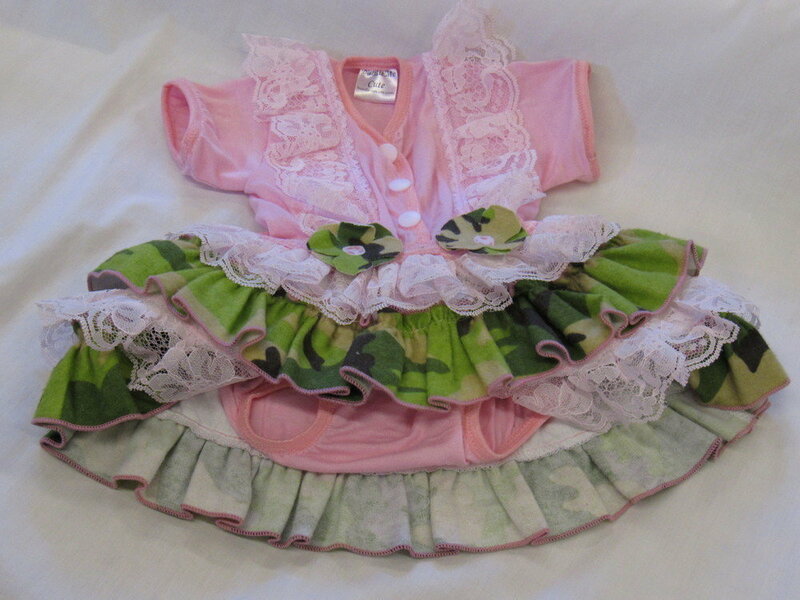 Pink lace strap bodysuit attached to three layers of ruffled lace and camouflage flannel fabric. Full front snaps to bottom for easy diaper change. White Sock are trimmed with pink ruffled stretchable fabric and camouflage flower. Two camouflage flower are accented the front of the dress at waistline. The stretchable bodysuit and flannel fabric are washable will need some pressing.